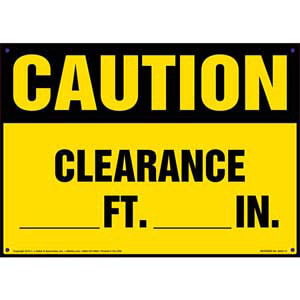 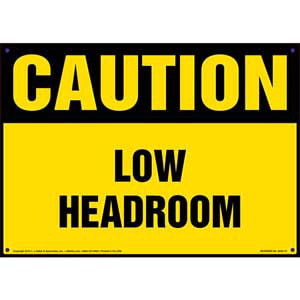 Caution sign helps identify clearance hazards specific to your facility. 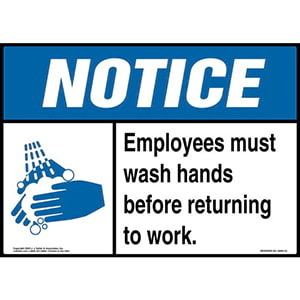 Danger sign warns employees of equipment hazards. 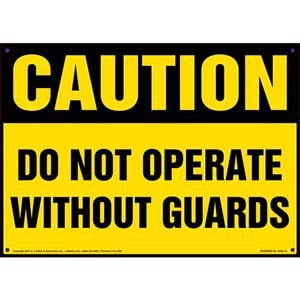 Caution signs offer critical reminder about machine guard safety. 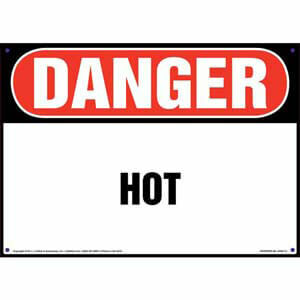 Danger sign clearly identifies heat hazards. 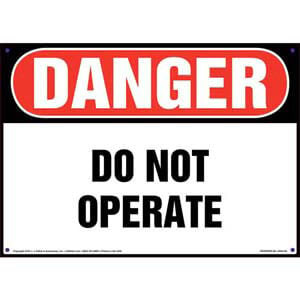 Danger sign clearly indicates equipment should not be used. 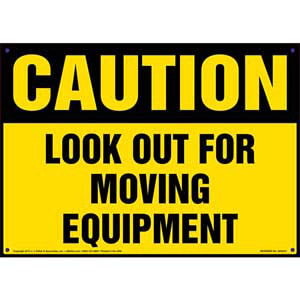 Caution sign alerts workers and visitors to the presence of moving equipment to prevent accidents. 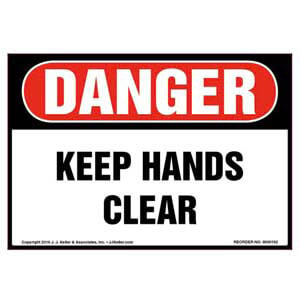 Danger sign alerts passersby to potential hazards. 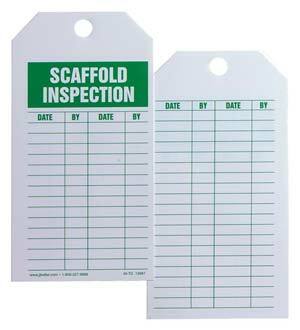 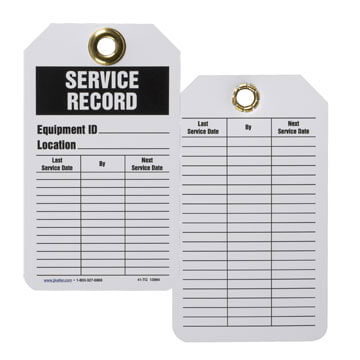 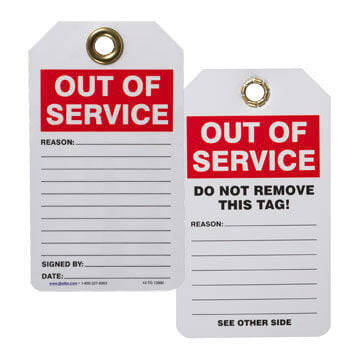 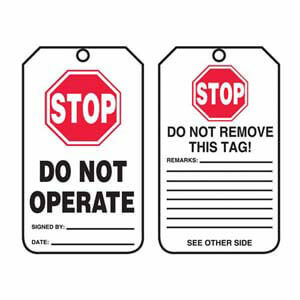 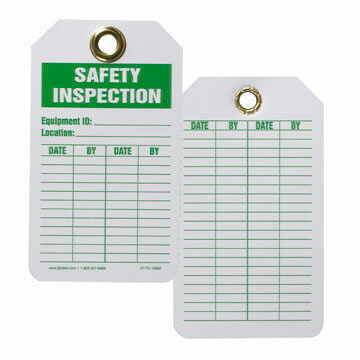 Durable accident prevention, inspection & maintenance tag. 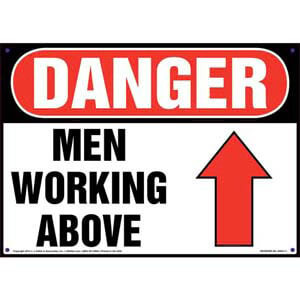 Caution sign calls attention to potential hazards in the workplace. 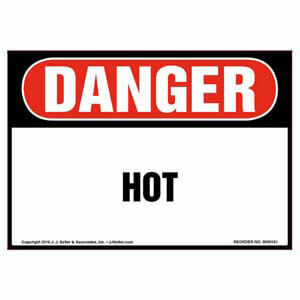 Danger label clearly identifies heat hazards. 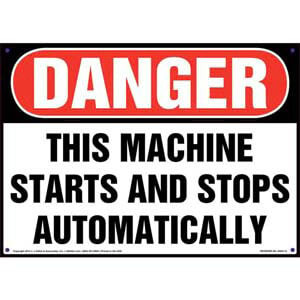 Danger label offers critical warning about equipment hazards.